Rose and White Chocolate!!! For me this should taste like heaven!!! They are beautiful! 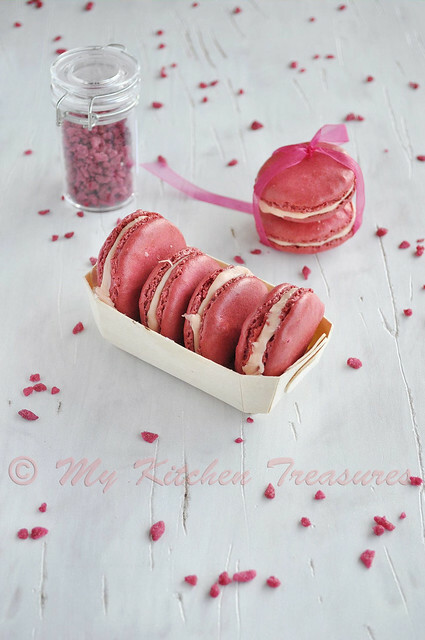 I wish I had the courage to make macarons, especially pink ones, I am sure my daughters would love them :-)! Finla, absolutely tempting and delicious looking. One of these days I will muster up the courage to make them. i think the flavor of rose goes perfect with white chocolate!...looks and sounds delicious! Beautiful, rose and white chocolate is yummy. I am afraid of macarons, i have tried yet, further as it is really sweet I have to finis entire batch, even my little one won't give a help. 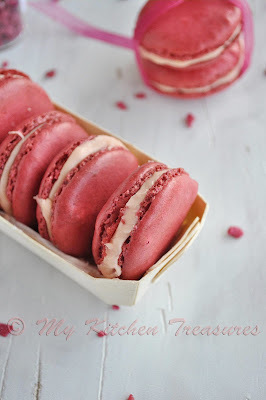 Pretty looks macarons,love that filling..
wow, what a beautiful color. Ur a macaroon expert, the flavors combination sounds amazing!! Suitable for oct. these pink macarons- lovely B&W entry too! Beautiful colours as usual, on your macarons! Pink just right for Pink October. The macaroons look so delicious, beautiful. You've become such an expert on macaroons Finla. They look great and surely I can imagine how they taste!! I wish I could make beautiful macarons like yours. Love the Rose color. Have a great week-end! looks really great, beautiful and interesting. So pretty... I love macarons! I love the pink color. I wish to make it one day, but I probably should start baking from something easier than this since I'm not a baker. 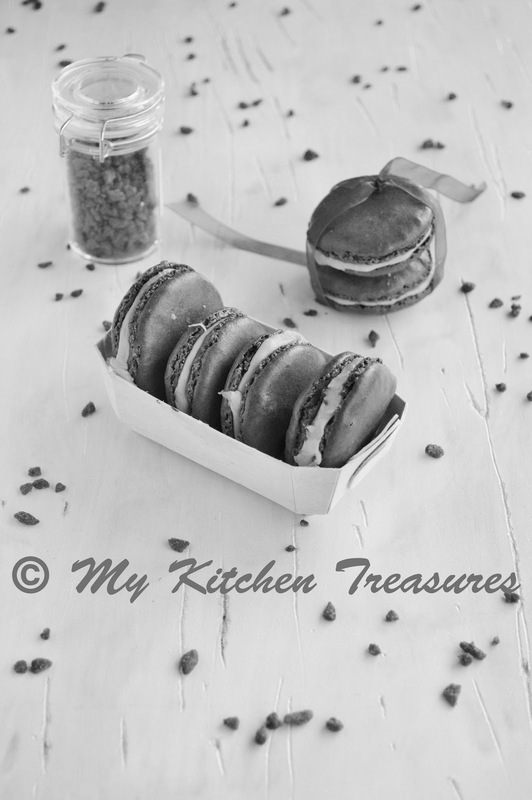 :-) Thanks for sharing this beautiful macarons! What beautiful color and flavors! Macaron heaven. Beauties, Finla, real beauties. Ottolenghi's cookbooks are among my favorites; I shall look up the recipe. They are too stunning to overlook. Thank you for joining in BWW. Too tempting and so delicious! I swear by the Ottolenghi macaron recipe too...they always come out right! Beautiful post and love the chocolate/rose combo. Love love love the delicate rose flavouring, and the photographs Finla. So happy to have you back within the MacTweets fold. Is the hub a mac-happy man? Hans? You got to love these!